Fausto Coppi is an Italian icon, legendary for exploits on the bike which include an Hour record and the first “doubles” in the Giro d’Italia and Tour de France, hailed as one of the symbols of Italy’s rebirth after the devastation of the second world war, pitied for the misfortunes that befell him on the road and etermally controversial due to the bitter divorce that became a landmark case in Italy. This was the first full-length English-language biography of il campionissimo. 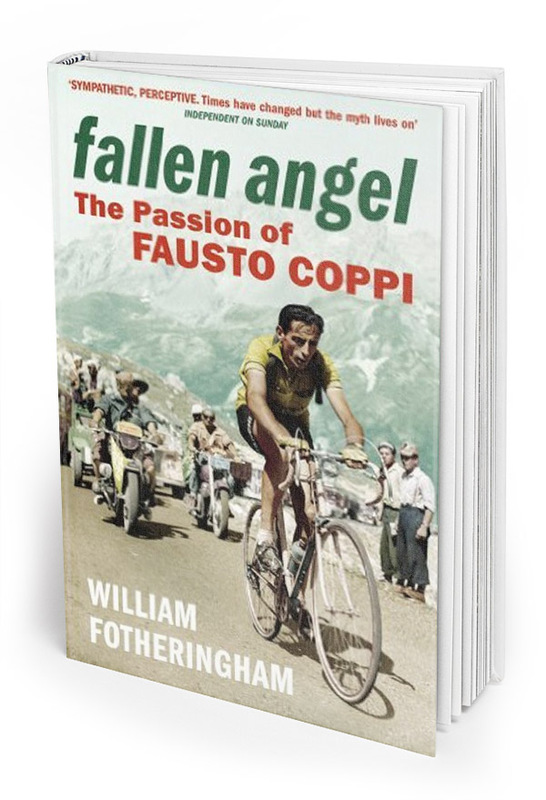 It took four years to complete, and includes interviews with Coppi’s domestiques Sandrino Carrea, Alfredo Martini and Ettore Milano, with the legendary Fiorenzo Magni and Raphael Geminiani, with Coppi’s son and daughter and a host of other figures such as Coppi’s last surviving schoolmate.